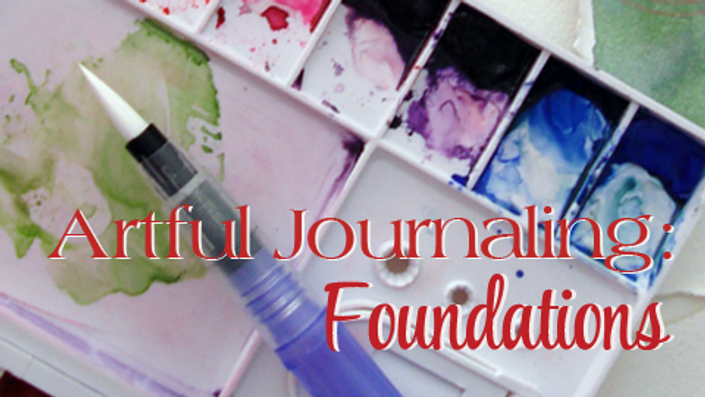 Building A Solid Foundation In Art Journaling! New to Art Journaling and no idea how to get started? This may be just the class you're looking for! The Art Journaling: Foundations course helps you to begin developing the skills needed to fully enjoy creating a visual journal that captures the experiences and memories important to you. Art Journaling is simply the combination of words and art on the page. How you combine them, what you use to make marks on the page is entirely up to you. 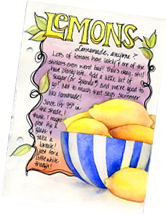 Since Artful Journaling is a very broad subject with many fun facets, this class will focus on the basics. 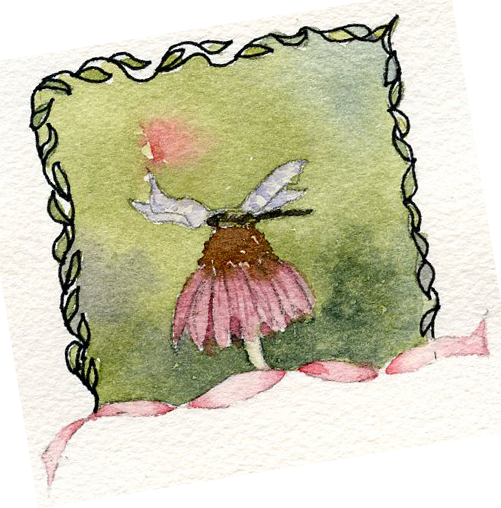 We'll begin with learning to tear watercolor paper and setting up a palette before moving on to making our pages look more polished by including special borders, word art and deciding whether or not to add color or pen work. We'll be working with watercolor as our primary medium. The exercises will help you to develop your painting skills. The course also covers several approaches to improving your drawing skills. Exercises include affirmations to help you move past the fear that often holds us hostage as well as ideas on learning how to observe. We'll address making time to journal and the joy of giving up the pursuit of perfection. Best of all, we'll have fun, loosen up and play! Welcome! Class Details and Recommended Supplies - Please Read! The course starts as soon as you enrollment fee is paid and all materials are available immediately. There are 12 assignments for you to complete at your own pace. The class ends 365 days from the day of enrollment. The course is completely self-paced—you decide when you start and when you finish. You can watch the video demonstrations as many times as you'd like and on your schedule. I took Artful Journaling: Foundations and Exploration classes a few years ago as I was starting my retirement. I wanted to learn how to journal and use watercolors while traveling to capture wonderful memories. Both of these classes were absolutely wonderful. They did not disappoint. Excellent for beginners as well as experienced artist who want to try something new. After enrolling in Artful Journaling: Foundations Course, I understand that I will receive 12 detailed assignment pdfs along with 15 video demonstrations for one year from the date of my enrollment. I understand that this class is an independent study with no teacher interaction and is self-paced. I understand I must be technologically able to participate as technical/computer support is limited. I understand that this package is suited to highly-motivated, self-starting artists who want to develop their artistic skills on their own schedule and with no pressure to participate in a class environment. Any materials not utilized during the year of enrollment will be forfeited. Receive Feedback on Each Assignment Directly From Laure! 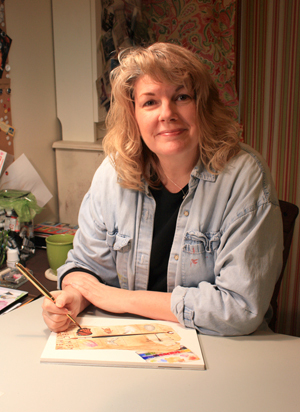 After enrolling in Artful Journaling: Foundations Course, I understand that I will receive 12 detailed assignment pdfs along with 15 video demonstrations for one year from the date of my enrollment PLUS I will also receive one PRIVATE Email Critique per assignment to help me develop my artistic skills. I understand I must be technologically able to participate as technical/computer support is limited. I understand this package is well-suited to motivated artists who want to develop their artistic skills and do not have time or interest in participating in a class environment but still seek feedback on their work. Any materials or critiques not utilized during the year of enrollment will be forfeited. Work Directly With Laure In A Live Setting To Grow Your Artistic Skills! After enrolling in Artful Journaling: Foundations Course, I understand that I will receive all the class materials for one year from the date of my enrollment. I will also receive one private email critique for each assignment PLUS I'll be personally working together with Laure, for 2 hours* in a 1-on-1 environment, help me to develop the skills I want, to keep me accountable, to answer questions and to help with specific challenges I face as an artist for the period of my enrollment. I understand the mentoring sessions will be conducted via webinars and I must be technologically able to participate. *The 2 one-hour webinar sessions can be broken into small time segments, up to a total of four separate sessions. I understand that this package is intended for highly-motivated artists who have made a real commitment to developing their artistic skills and are willing to invest their time and the necessary attention needed for intensive coaching sessions. Any mentoring sessions and critiques not utilized during the year of enrollment will be forfeited.